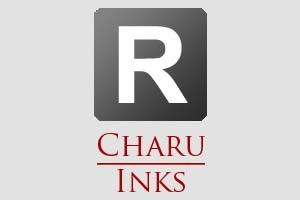 Product overview - Our range of Kothari Print Pro printing and color management software and Charu inkjet inks. 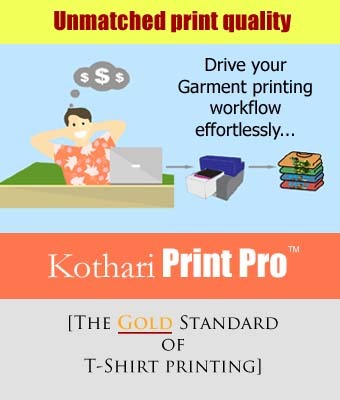 - Kothari Info-Tech (P) Ltd.
Kothari Print Pro - RIP and Color management software. Kothari Print Pro™ - the RIP and color management software is an industrial strength software for digital printing. It is a reflection of our relentless pursuit of excellence in creating tools and technologies for color management and color reproduction. 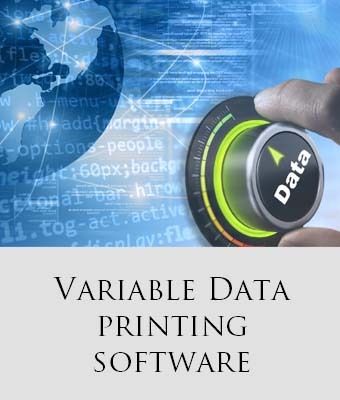 Instead of relying on 3rd party libraries for creating our solutions, we created each bit of technology ranging from color processing to printing on our own, so that we have better ability to respond to ever changing needs of customers. We engineered technologies to handle large and complex data in a very efficient and productive way. 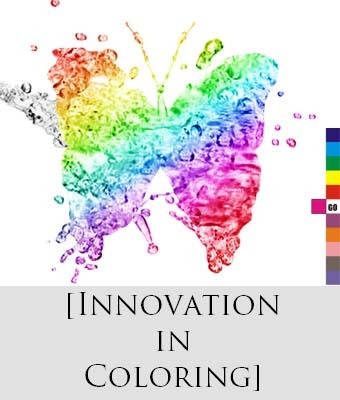 We wrote our own color processing engine, created our own gamut mapping algorithms and color profiling engines that can deal not only with CMYK process but with spot color and white inks as well. As a matter of fact, our Journey to create innovative products for digital printing started with Kothari Print Pro. Various editions of the software as below are available to cater to the individual needs of different applications. Used by industry leaders worldwide, Kothari Print Pro offers a collection of innovations designed to simplify the work of a digital textile printer. Designed for most demanding UV curable printing applications. This tool makes raised printing a child's play with its powerful layer control technology. Template tools provides the easy reusable layout option with shape masks for printing multiple different shaped items. Covers white ink and varnishes with colored inks. Setting benchmark in print quality on dark T-Shirts using white ink with its patented automatic white underbase generation technology. 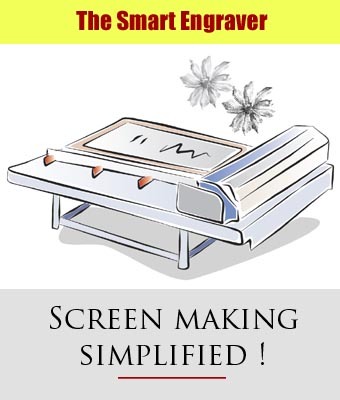 A handy companion to any one involved in screen making. It offers various halftoning options including second order stochastic screens. An incredibly powerful tool for handling Graphic Arts workflows beyond CMYK involving extended colors like Orange, Blue, Red, Green etc. as process colors to expand color gamut. 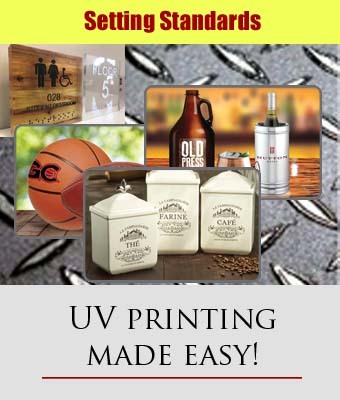 Innovative use of light inks to increase smoothness of prints along with gray balancing tools to produce perfect grays with multi-color ink-sets. ​Combined with our Kothari VDP Pro software, the UV Edition and Label Edition offers incredibly powerful solution for on-demand mass customization of labels and prints. Kothari Colorist is a match prediction and quality control software for textiles. Working in conjugation with a spectrophotometer, the software predicts the recipe for a target color based on the stock dyes. Kothari Colorist was developed in collaboration with Man-Made Textile Research Association (MANTRA), linked to Ministry of Textiles, Government of India. 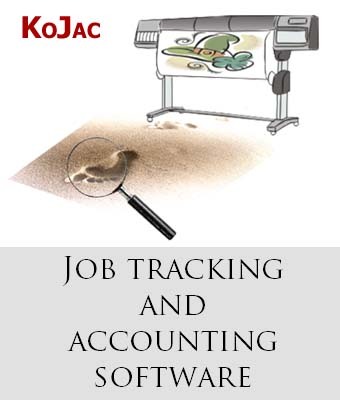 Designed for unsupervised monitoring, KoJac is a Job Tracking and Accounting software for printer fleet management. KoJac is certified by HP for use with its Pagewide XL and DesignJet series printers. Chemistry for digital textile printing. ​We understand colors! 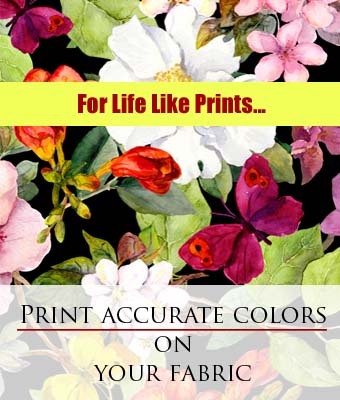 With more than a decade of experience in the field of digital textile printing, we also understand the needs of a printer well. We also have expertise in color chemistry and inkjet technology! The combination of this knowledge is reflected in the offering of our Chemistry for digital textile printing. 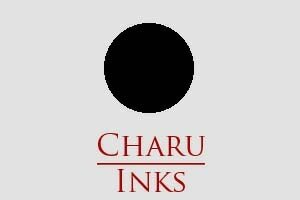 All our Charu inkjet ink types are characterised by high dye loading providing the maximum color gamut and excellent jetting performances. We offer a broad range of ink formulations covering the viscosity range of all the available printheads in the textile market place. 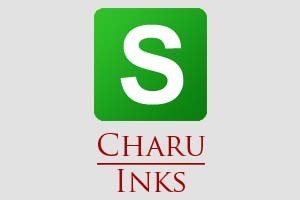 All our inks are water based. 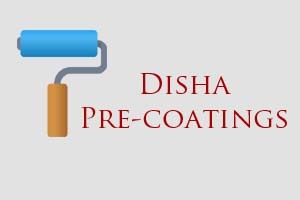 ​Our Disha pre-coatings are suitable for wide range of fabric and ink type combination and designed to produce higher color fixation and consistent results. ​Our Charu inkjet inks and Disha coatings combination offer an excellent out of the box solution for anyone wanting to print digitally on textiles! Range of water based pre-treatment optimized for various fabric types and ink to provide maximum color yield and retain the hand of the fabric. High performance water based inkjet inks for printing on Cotton, Viscose, Silk, Wool and Nylon* fabric. ​High performance water based inkjet inks for printing on Silk, Wool and Nylon fabric. 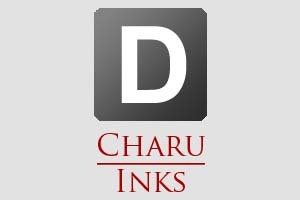 Charu Reactive, Disperse and Acid inks along with Disha coatings are part of our wet chemistry solution for Digital Textile printing as it involves steaming and washing as post processes. 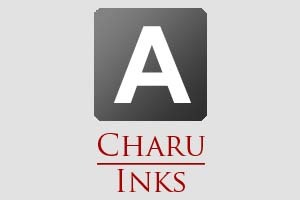 Charu Sublimation inks are part of our dry chemistry for textiles as it only requires dry heat for color fixation on the fabric. 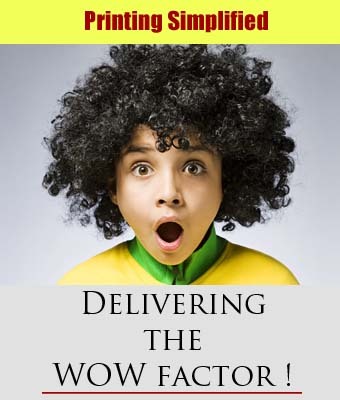 These inks find mention below in other ink category as they are also hugely popular for graphic arts printing applications like flags, banners and articles like mugs, tiles etc. ​Part of dry chemistry, these are high performance water based inkjet inks for direct printing or sublimation transfer on polyester fabrics. Suitable for printing apparels and graphic arts banners. 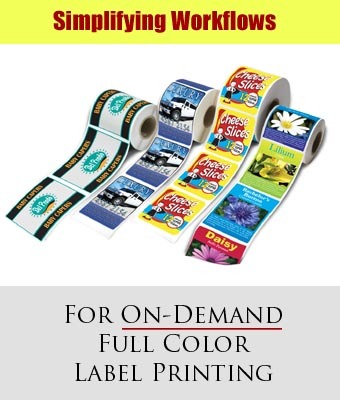 ​​High performance water based dye inkjet inks for printing on coated labels. 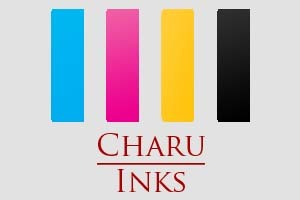 ​High performance water based black pigmented inkjet ink for computer to screen masking application.